Dimensions 0.87 by 7 by 9.25 in. Amazon.com description: Product Description: Itâs easy to capture packets with Wireshark, the worldâs most popular network sniffer, whether off the wire or from the air. But how do you use those packets to understand whatâs happening on your network? 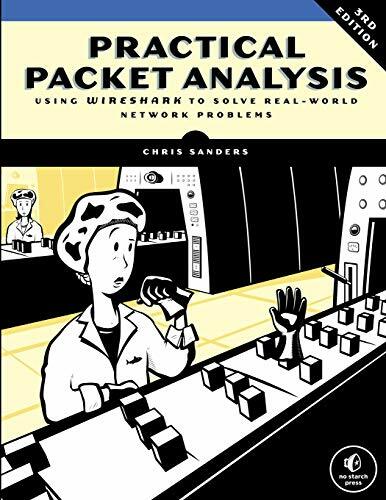 Updated to cover Wireshark 2.x, the third edition of Practical Packet Analysis will teach you to make sense of your packet captures so that you can better troubleshoot network problems. Youâll find added coverage of IPv6 and SMTP, a new chapter on the powerful command line packet analyzers tcpdump and TShark, and an appendix on how to read and reference packet values using a packet map.